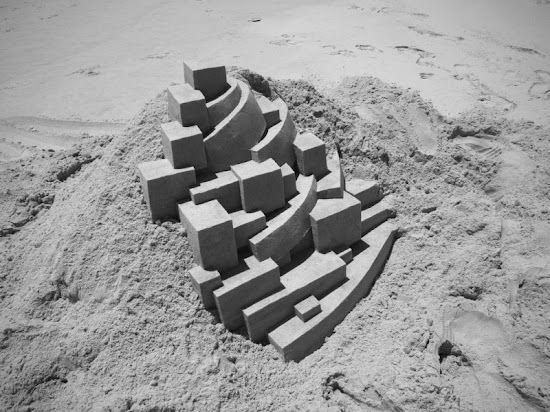 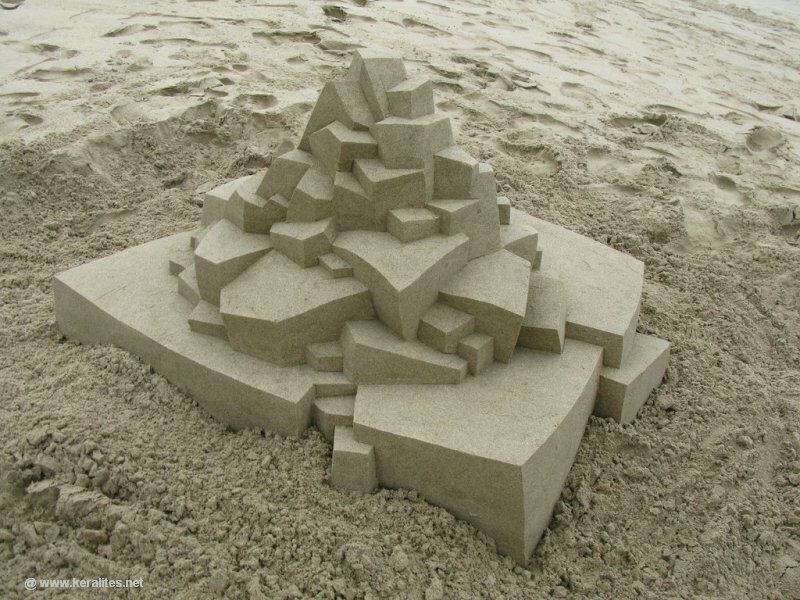 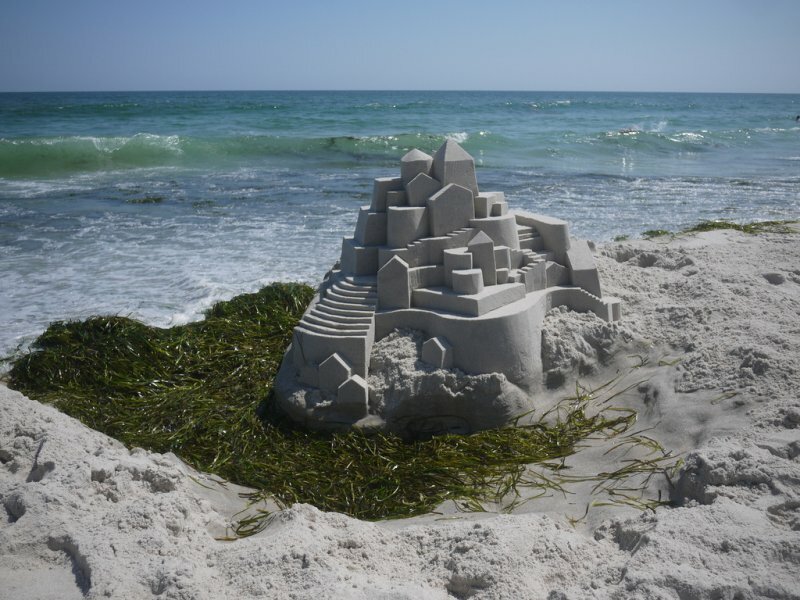 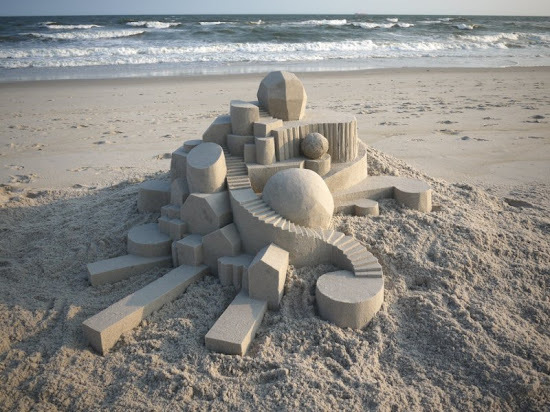 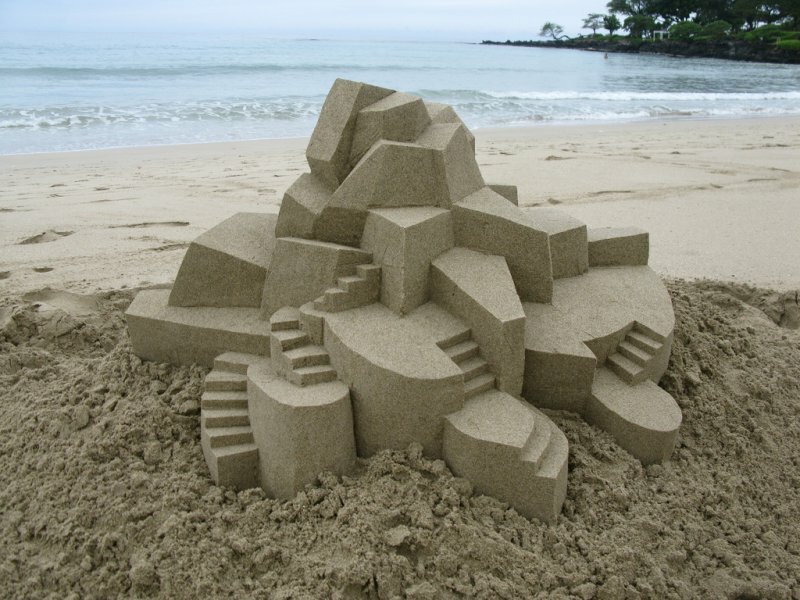 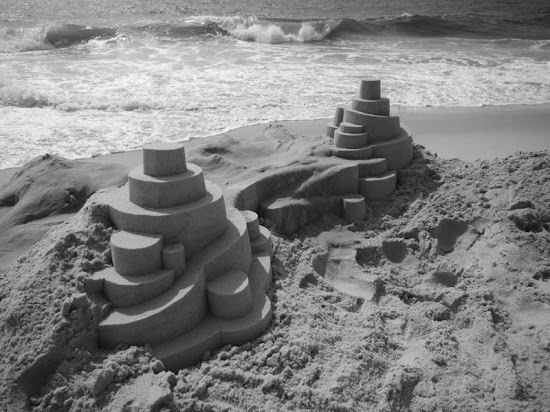 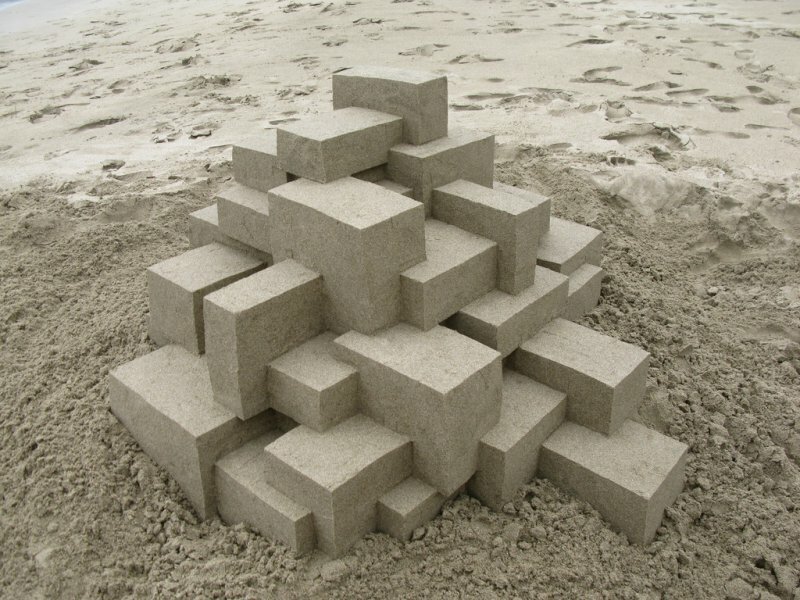 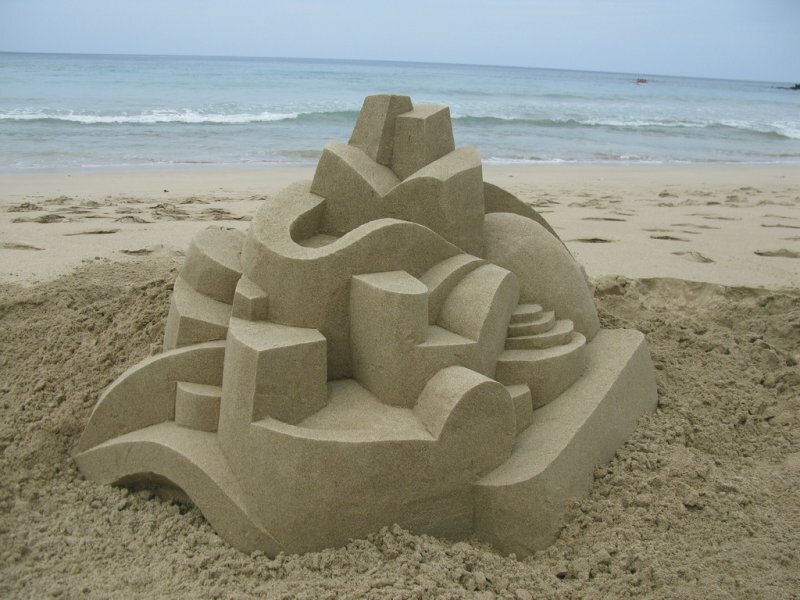 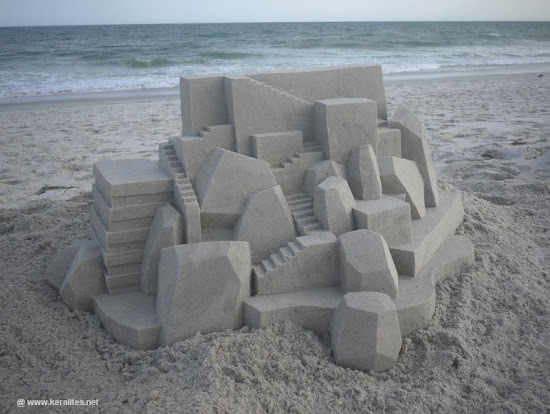 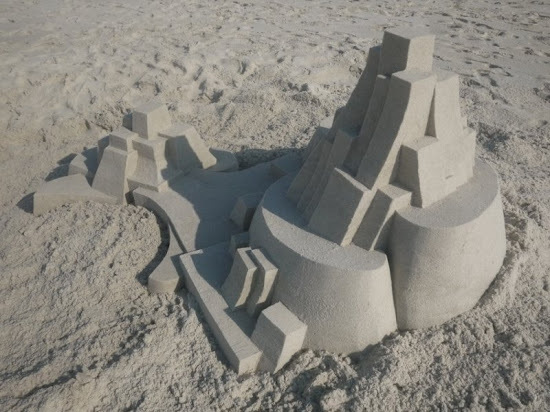 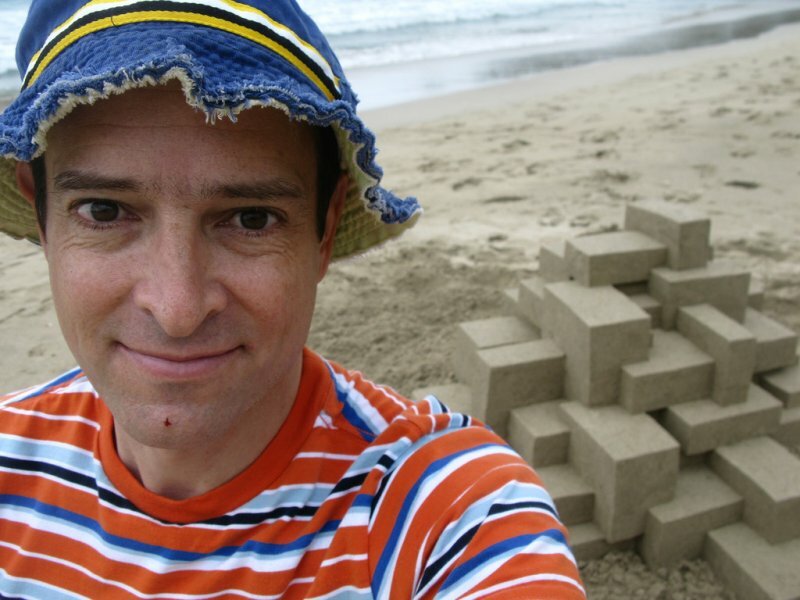 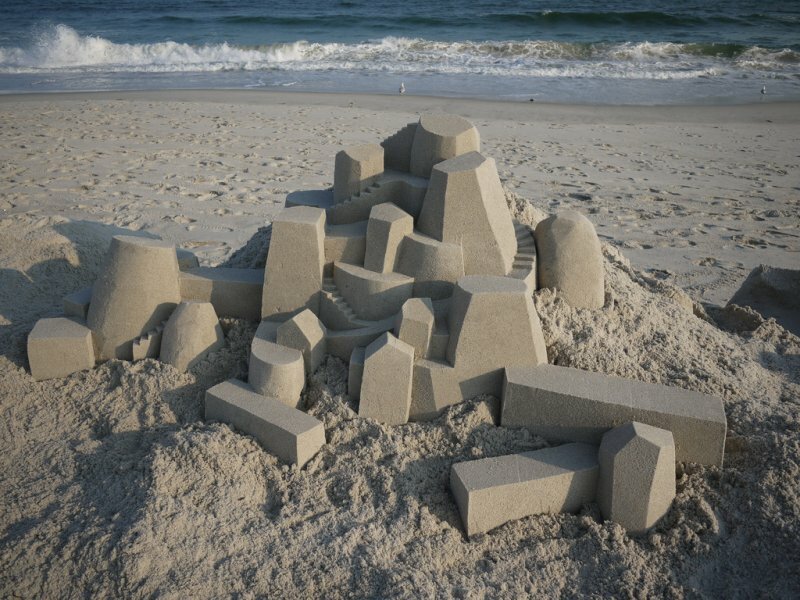 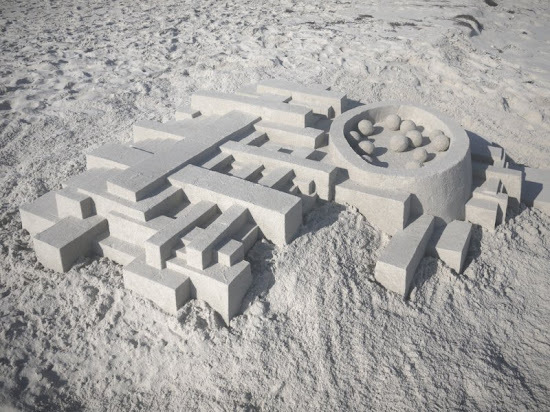 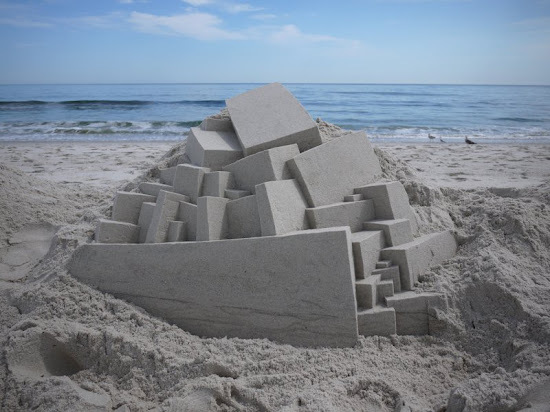 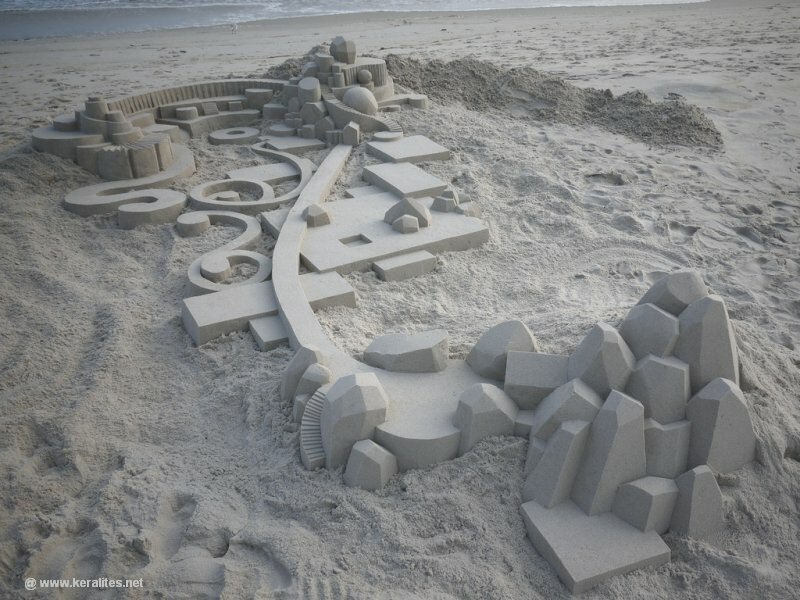 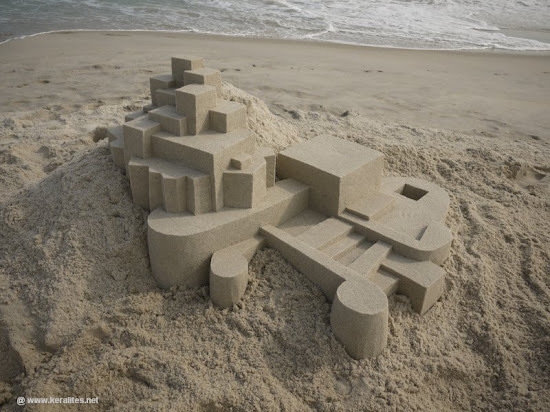 Using a variety of 3D geometric shapes such as prisms, pyramids, cylinders, spheres and cones; artist Calvin Seibert creates wonderful sand sculptures that are not quite ‘castles’ but much more than just randomly placed building blocks. 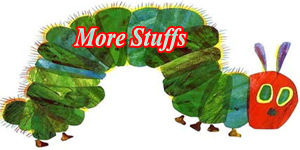 On Flickr, you can find an entire 66-picture gallery of Calvin’s artwork which have all been washed away by the sea. Luckily for us, Calvin immortalized his pieces through photography so we can all enjoy his fantastic creations!